Makeup primer, a base that you apply before putting on makeup, has become especially popular as a base for eye shadow because it prevents creasing, makes the color more bold and vibrant and helps the shadow last longer. Though you can purchase commercially made makeup primers, they often cost a lot and come in small quantities. Instead, easily make your own makeup primer with a few simple ingredients you already have. Homemade makeup primer provides a cost-efficient option, and you can customize it to your exact skin type. 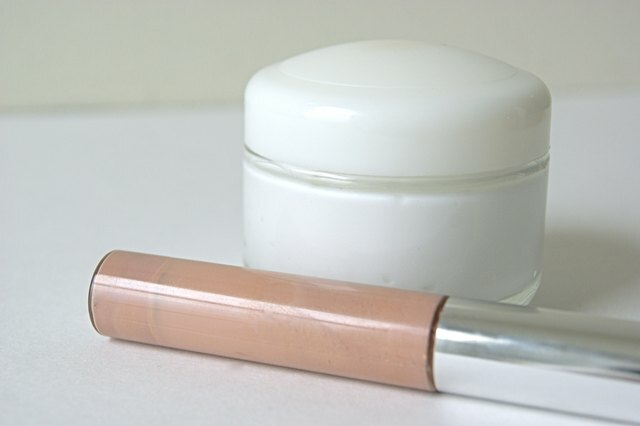 Make your homemade makeup primer with concealer or foundation and moisturizer cream. Use the same foundation or concealer you use on your face for your everyday makeup application. Make sure the color matches your natural skin color so that it blends in well and doesn’t stand out beneath the eye shadow. Also, use a moisturizing cream that you typically use every day, made by a company you trust, so that you know you will not have any allergic reactions to the cream. When choosing a moisturizing cream, look for an unscented cream that won’t irritate your eyes. If you don’t have sensitive skin, use a simple face moisturizer. However, if you suffer from skin allergies, invest in a special eye-safe formula. 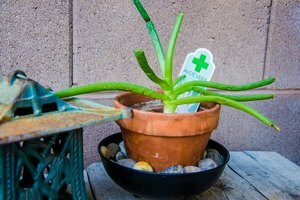 Mix the ingredients in a small pot or sample container with a lid to store the primer, an ice-pop stick or small spoon to measure the ingredients, and a toothpick to mix the primer. The measurements for your homemade makeup primer depend on how much you want to make at one time. For your first time making makeup primer, start out making a smaller amount so you can test how the ingredients react on your skin. Use an equal amount of concealer or foundation and moisturizing cream. Scoop a small amount of moisturizing cream onto the ice-pop stick, using a dollop of cream a little smaller than dime-sized. Scrape the cream into the bottom of the small jar, then measure a similar amount of foundation or cover-up into the jar as well. Thoroughly mix the cream and foundation together with the toothpick, dissolving any lumps as your stir. Once you've completely mixed the makeup primer you can apply it. 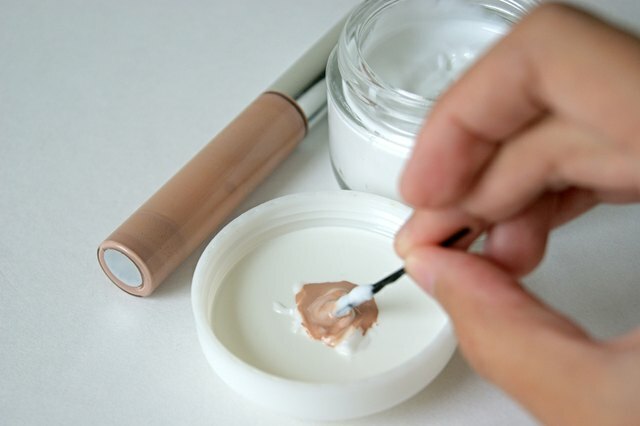 To use your homemade makeup primer, apply the cream to your clean and makeup-free eyelids. Allow the makeup primer to soak into your skin for a few moments, just until does not feel wet to the touch. Apply your eye shadow as you typically would. You’ll immediately notice that the shadow looks bolder than commercial varieties and, as you wear it throughout the day, it doesn’t wear off as easily.